The 2017 Newsboys Foundation Regional Music Award, in partnership with the Melbourne Recital Centre, is part of the MRC annual Bach Competition. 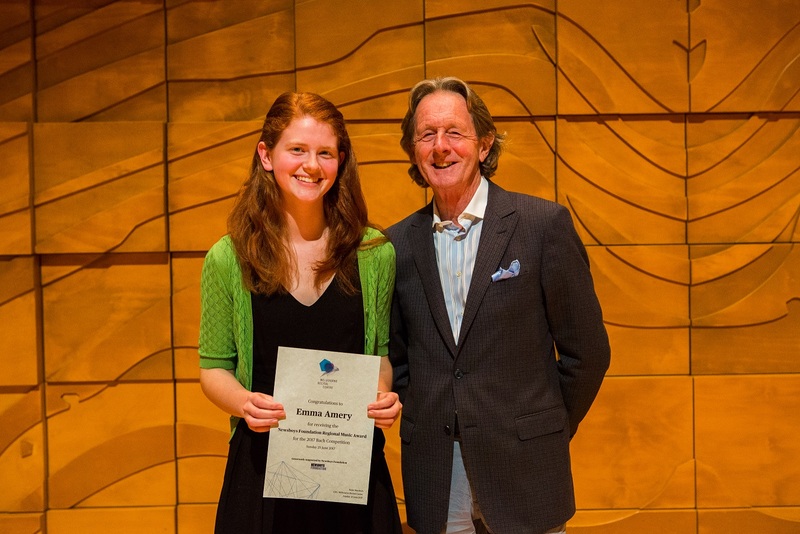 Newsboys Foundation Regional Music Award Winner, Emma Amery, (age 18) lives on a farm in rural North-East Victoria. She began learning violin at the age of 6 in Wangaratta, and since then has played in numerous community concerts and local productions in the region. Emma has been travelling to Melbourne each Saturday since 2014 to participate in the Melbourne Youth Orchestras program, and this year holds the position of Assistant Concertmaster with the Melbourne Youth Orchestra. Emma is currently a student of Isin Cakmakcioglu. Further information on the 2017 Bach Competition winners can be found at the MRC website.